If you want to visit national parks it is advisable to make accommodation reservations prior to committing to hire a vehicle. Some parks, including all the Botswana parks, Mana Pools in Zimbabwe and the Kruger National Park in South Africa, are just so popular that you simply have to book months in advance. See the blog about booking national parks in Botswana. Once your itinerary is fixed, look for recommendations on rental companies on the internet. You will often find personal recommendations on some Africa forums like www.namibia-forum.ch (German), www.4x4community.co.za, www.overland.co.za or www.tracks4africa.co.za/community, or you can start a new thread on one of these forums and ask for advice. You should also search the internet for reviews on specific companies that you are interested in getting a quote from. Remember, not finding any reviews is not necessarily a negative sign. Most people tend to only comment about bad rentals or experiences. When comparing rates, check the terms and conditions on insurance, applicable taxes and extra charges. Going with what appears to be the cheapest quote often is not what it appears to be. Unlimited mileage seems to be the standard practice. You can choose to pay zero excess, reduced excess or full excess in the event of loss of or damage to the vehicle. This influences your daily rental rate. You might still be held responsible for damage to tyres, windscreen, glass, head lamps and paintwork. Most rental companies have conditions on negligence and driving after dark. Underbody and clutch damage might not be covered in your insurance. Make sure your insurance covers tow-in. Ask about backup vehicles in case of breakdown or recovery. You would not want to be stuck for several days waiting for a replacement vehicle or recovery. Cleaning the vehicle on return. Some companies charge a once off contract or administration fee. 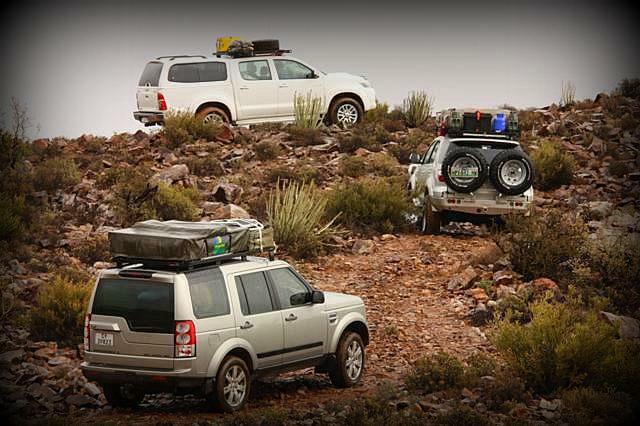 When renting a 4WD through an international rental company, make sure you specify that you want a 4×4 vehicle. Some rental companies will advertise a 4×4 or similar vehicle and you might end up with something like a SUV which may not be suitable for off-road driving. If you rent a vehicle with camping equipment, ask for the equipment list in advance. Not all vehicles are kitted out the same way. If you are travelling during winter, make sure enough warm bedding is included. For reasons of fuel economy, it is recommended to hire a 4WD with a diesel engine, which also has better low end torque for driving in thick sand. It is essential that you make sure exactly what is included/excluded in your contract before you rent a vehicle. Then, carefully check that you get what you expect when you receive the vehicle. It is difficult when you’ve just arrived and you cannot wait for the adventure to begin, but time spent checking the vehicle is time well spent. Check that the vehicle has all the equipment you signed for and that it functions properly. Check for bad electrical connections if you rent a fridge/freezer. It is important that the vehicle has good quality off-road tyres and that you have at least one, but preferably two, spare tyres of good quality if you intend travelling off-road. Find out if your tyres are tubeless or not. Your vehicle should be kitted with an electric compressor and pressure gauge so you can adjust tyre pressure as needed. When pumping high tyre pressures, make sure you do not overheat the compressor but give it short breaks to cool down. Make sure there is a functional jack and that the wheel spanner fits the nuts. Also, make sure emergency triangles are supplied. If a tyre repair kit is not included, ask for one or buy one yourself before leaving for remote areas. Even if you don’t know how to use it, someone passing by might be able to help. Check the basic toolset which normally comes with the vehicle. Ask if they supply a spare fan belt and if not, what must be done if you have a breakage. Make sure that spare fuses are supplied and the vehicle is kitted with a fire extinguisher. If you don’t have any experience in off-road driving, you should only rent through a company that offers you 4WD driving instructions and familiarises you with the vehicle before you drive off. Vehicle maintenance is critical to the operation of a 4×4 hire company. This is the primary source of problems that develop with companies that turn around their vehicles without a proper preventative maintenance program. A company should schedule a few days at least between vehicle hire. If you discover that the maintenance work has not been done, ask for another vehicle. When you collect the vehicle, check for any damage on the underbody, interior, paint, bumper and for windscreen cracks as well as dents or pitting. Note any damage on the form that you have to sign and take photographs of the damage to cover yourself. Ask the rental company about their policy on fair wear and tear and the type of damage for which they charge clients. Understand their policy on disputes. Ask for a vehicle with a long range fuel tank as many routes in Africa involve long distances. It is safer and more convenient to carry extra fuel in a long range tank rather than in jerry cans on the roof-rack. Most companies that rent vehicles also rent GPS’s. 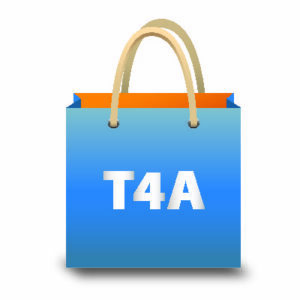 If you rent a GPS, check if the latest version of the T4A map is loaded. If you don’t rent a GPS, you should install the Tracks4Africa Overland Navigator app on your iPhone/iPad/smartphone/tablet. Remember to take along paper maps of the countries that you are going to tour. Finally, make sure you have the list of emergency contact numbers of the company you are renting from. If you intend crossing a border with the vehicle, make sure you have a letter of authorization from the vehicle renting company and a certified copy of the vehicle registration papers as well as the police clearance for that specific vehicle. Do not travel too far on the first day as you might suffer from jetlag or tiredness. Also, anything that turns out badly during the first day/night shakedown is quicker put right if you don’t have a long trek back to the rental company. Take care when driving on gravel roads, no matter how good they are. It is safest to use 4WD and restrict your speed to around 80km/h maximum and off course, slower where road conditions dictate. Good piece of information, especially for non-Africans, Europeans for example.Having such a checklist is essential. Indeed, diesel is more fuel efficient and also much safer in hot conditions. Frank, Africa is a big continent and distances are far, therefore even South Africans need this checklist. A colleague of mine and I flew up to Windhoek once for a research trip and rented an equipped vehicle. Excellent piece Karin, thank you. My wife and I enjoy your articles very much. Wish I could have had this information in 2014 when preparing for our first overland trip to Botswana. Fortunately though and by chance we did end up renting an amazing overland vehicle. During the trip we could compare with fellow travellers in rentals ranging from questionable to often very good. Comparing them we could see that we had chosen a “top of the bill” rental company ticking all the boxes you have put forward and thus providing us an unforgettable holiday. Everything you describe is applicable and a valuable checklist preparing for each new trip. Hans, I am very glad to hear that you were lucky enough to get a good vehicle. We battled with a fridge connection when we rented a vehicle.